Well, it took me a few days to recover, but I wanted to write about how awesome the Earn1KaDay Seminar in Vegas really was. Before I talk about all of the speakers and their excellent presentations, I need to talk about the OTHER things. The things that you only get from being there in person. First, I was able to re-connect with friends from last year, I started to list them here, but I just knew if I did that I would forget someone. I also remembered to bring my physical copy of Dennis’ 5 Bucks a Day book and had him autograph it for me. That book has been life-changing for so many people, and Dennis has been instrumental in changing my life as well. I was also able to finally meet some people in person that I’ve been wanting to meet for a while. There were some dear old friends from Earn1KaDay, some new friends, and some people whom I definitely look up to. The mastermind on Friday, was enlightening. We went around the room first, and everyone talked about the things they were doing in their business. I would say that a good 80% of the people there (at least) talked about their business, and then said…“and I’ve been doing Kindle publishing.” Wow! Equally surprising to me though, were the number of people who had no idea what CreateSpace even was! I’m on a mission to change that. I want every published Kindle author that was in that room to be able to hold a physical copy of their book in their hands. I viewed the event this year with a different set of eyes than last year. Last year, I was a sponge. I loved every minute of it, and soaked up every bit of information that I possibly could, but when the mastermind question: What Do You Do? came to me, I was all over the place. I was still playing around with a lot of different things and didn’t have a real main focus of my business. Not only is that no longer true, but this trip I was able to actually offer some expertise in the area of publishing, and I felt that I helped some people. Wil Mattos spoke about the power of partnerships. This was absolutely NOT what I expected it to be! There was a wealth of very practical information about different types of working partnerships, but also about how to set up a business. I was blown away. The partnership that Wil has with Jason Fladlien is like no other that I know of in our circles. If you think that all of that business talk was dry, think again. Wil is a treat to listen to, and his talk was over way too soon. Gene Pimentel... ahh Gene, the master domainer! (And the master of simplicity.) What I always love about Gene’s presentations, is that the things he teaches are just so darn do-able! You don’t have to do his methods full time. You can pick up some very lucrative strategies to add an extra income stream to your business that will take very LITTLE of your time. And they aren’t hard at all. Mario Brown‘s story was so inspiring. This was really the first time I ever really knew anything about Mario, and I’m an instant fan. My focus is not anywhere near the topics he targets (offline and mobile) but his information about how to claim ownership of a niche and how to incorporate mindset into any niche is pure gold. Jason Fladlien talked about how to understand and adopt the principles that will take you to “the next level,” whatever that next level may be for you. For Jason and Wil, it’s about going from 6 figures to 7, but for many, it’s about finally making it to 5 figures. James Jones – yay! Finally got to listen to James speak in person, after being on many, many webinars with him. Of course he didn’t disappoint. James in person was a gem. He talked about a very specific type of interactive Kindle book that he does (very successfully) and how to put them together. The idea is excellent for adding to your inventory of books quickly. The method can also be used to add an interactive element to pretty much any (non-fiction) book to engage the reader more. Becki Andrus is like a ghost online. She is not out-there-in-your-face, but she is definitely out there. You just don’t see her. 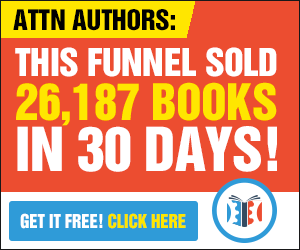 She quietly KILLS IT with driving traffic to her niche sites. Her “traffic symphony” is all about creating strong, sustainable traffic systems that will work, no matter what mood Google happens to be in. And she does BEAUTIFUL slide presentations. Connie Ragen Green… I adore Connie! She’s a famous affiliate of course. She’s the Huge Profits With a Tiny List lady and that’s what her talk was about. But Connie is a warm and genuine person too, who exudes good will in every thing she says and does. Just being around her makes you smile inside. Colin Theriot I’m convinced could rule the world. He draws you in, convinces you of his story, and before you know it, you’re willing to follow him anywhere or do whatever he says. Yes, he’s a master copywriter. I know this because he told me so. And what he tells me I believe. Like … he’s a superhero. Yes, I believe him. Dr. Ben Adkins is really NOT evil, people! He may try to convince you of that but I know otherwise. He’s a good guy who is just really, really smart at making Facebook work for him, and well he’s just really, really smart at business. He was a Facebook pro before he ever became an IM guru, because he had to advertise his chiropractic business in the least costly way possible. Now he’s the “Evil Facebook Magician.” But I cry foul. Anyone who becomes a chiropractor because they want to help people instead of becoming a part of a pill-pushing-problem… he’s ok in my book. Michael Gunn is always a favorite. Anytime Michael is going to teach anything, anywhere, I’m lining up for it. He’s an excellent teacher, an excellent motivator, and totally fun to be around. His specialty at these live events is mindset stuff, and he’s very, very good at it. This year it was secrets of the “World Class.” How can we break into that top tier of success? It can be done if you change your thinking. One of my favorite movies, A Knight’s Tale, says “A man can change his stars.” Well, so can a woman. Brad Spencer‘s talk was simple and heartfelt. He talked about relationships, about friendships, about caring for people. That is so much a part of what my business is about that I found myself tearing up during his presentation. I truly feel that his success comes from his genuine caring about other people. What a treat he was. Burt Richard exploded onto the scene! I honestly didn’t know Burt before this, but I will certainly never forget him. He’s a dynamo. He provided some awesome insight into how to talk to ALL of your audience more effectively so that you are speaking the language of all of them, not just the ones who are just like you. In our search for freedom from the J.O.B. it is easy to forget some of the things we used to love about working with other people and that’s the PEOPLE! I urge you to get out there and meet people who understand what you do. It’s important. And FUN. Great review, Teresa, I couldn’t have written a better one myself. Thanks Dennis! The real challenge was in describing the impact of each speaker without turning the post into an epic saga. It was a pleasure meeting you this weekend — and having sat through the exact same presentations, it was quite interesting to read your “take” on them. Everybody attends events like this at a different point in their life (and business), and see your takeaways was great. Your perspective, compared with mine, helped me take more away from the great weekend. Thanks for your comment. I feel the same way. It always helps me to hear what other people take from a given presentation, because they may have picked up something I missed. It was great meeting you in person! What a great and detailed post you have given us! I appreciate your kind comments about me, as well as your informative comments on the other speakers. Meeting you at this event was the highlight of my trip! It was wonderful to finally meet you in person, and thanks for stopping by and reading my blog. If I had talked about everything I thought about with the presentations, this post would have been so long no one would read it! 🙂 I look forward to talking to you soon.